As Prime Minister Stephen Harper touted the Sept. 9 discovery of one of Sir John Franklin’s ships, located after more than 160 years, Jan Wanggaard of the Maud Returns Home project couldn’t help thinking about the parallels between Franklin’s newly-relocated ship and the vessel that he and a group of Norwegian investors plan to bring back to Norway. That’s the Maud, sailed by Norway’s polar exploration hero, Roald Amundsen, who in 1906 was the first European explorer to sail through the Northwest Passage. Amundsen left Norway in 1918 with the Maud, planning to drift westwards with the ice across the Northeast Passage, now called the Northern Sea Route, and over the North Pole — but never completed that journey and the Maud eventually ended up outside Cambridge Bay, Nunavut, where it sunk. The Maud, at 36.5 metres, was about the same size as the Franklin ship. 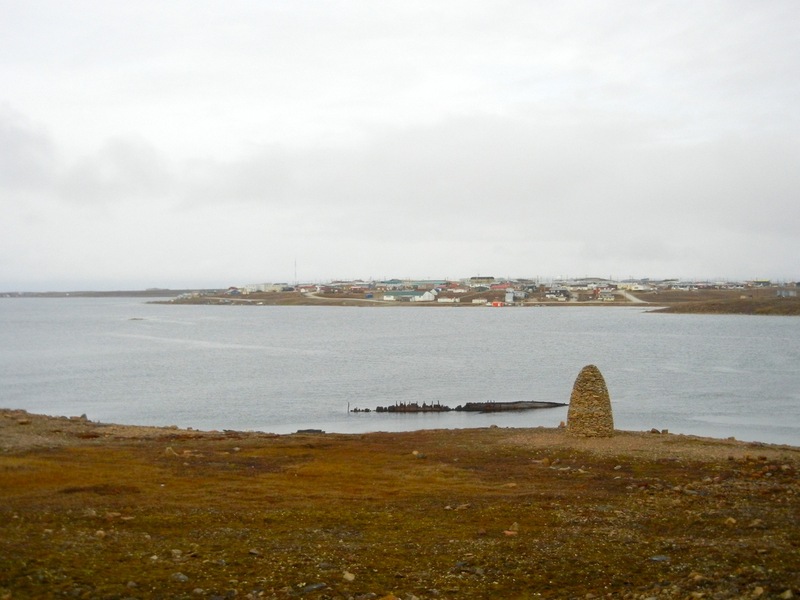 But there the parallels end, Jan Wanggaard told me in Cambridge Bay where I’m visiting this month. First of all, there’s been no mystery surrounding the Maud. 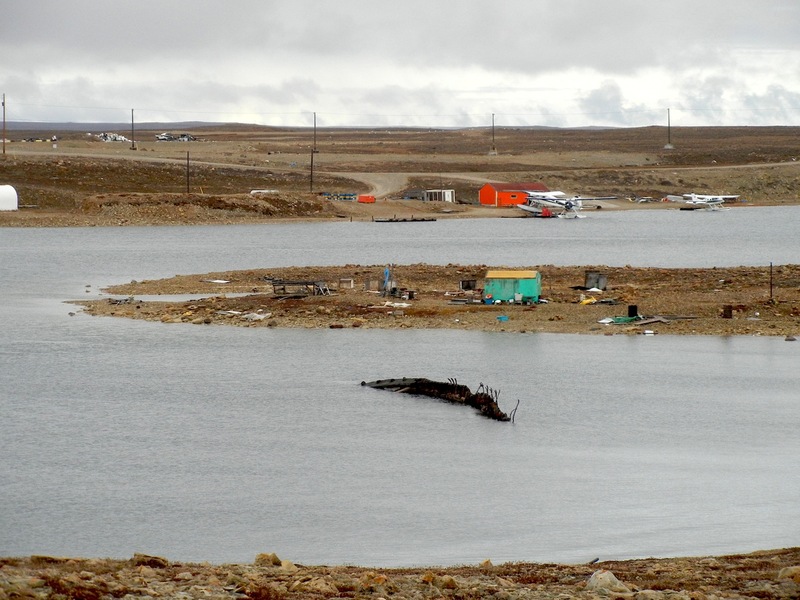 That’s because everyone in Cambridge Bay knows where the ship is located because part of the hull is still visible above the water. And unlike Sir John Franklin’s two ships, the history and location of Amundsen’s ship is well known. And there’s another big difference: the Maud was designed to avoid the kinds of mistakes made during the disastrous voyage of the Terror and Erebus. The round hull of Amundsen’s vessel was designed to avoid being crushed by ice and he travelled with a small crew, well versed in Arctic survival skills, which Amundson learned from Inuit, Wanggaard said. “Amundsen learned from other people’s mistakes,” he said. And then there’s the way that Norwegians have gone about retrieving the Maud. A private investment company, Tandberg Eindom, is underwriting a modest project to bring the Maud back to Norway — a low-key effort, now four years old, that employs a handful of people, unlike the huge multi-year Franklin ship search launched by the Canadian government. So, what will happen to the Franklin ship? Wanggaard thinks its fate will be discussed for years, because it’s also connected to political issues, although the technical work of studying the vessel could be done quickly, he said. 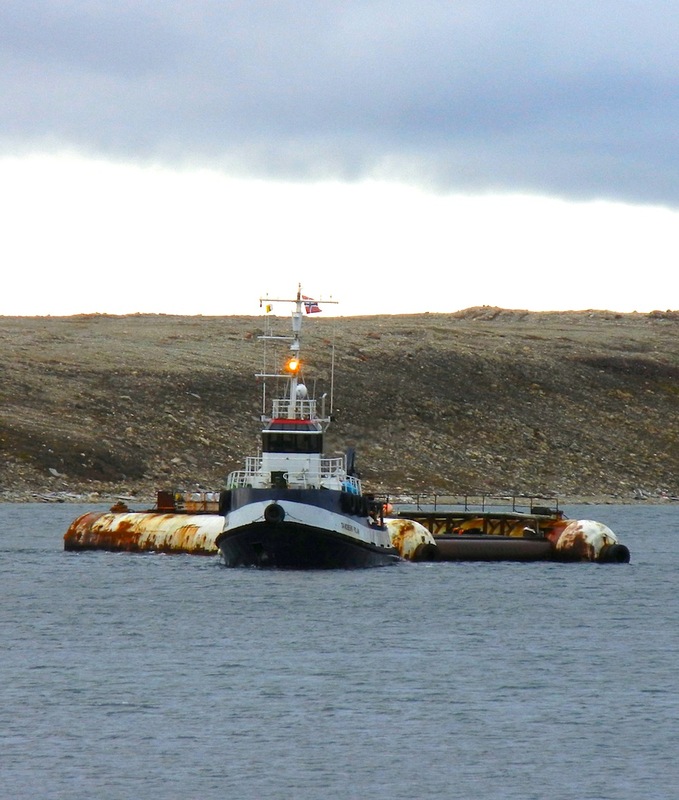 This summer, the Norwegians, who obtained an export permit to move the Maud in 2012, moved close to bringing the ship back with the arrival of the Tandberg Polar tug and barge in Cambridge Bay. They plan to raise the Maud with balloons, drag the hulk over to a barge, lift it into a kind of “cradle” in the barge, raise it out of the water, slowly, to avoid any stress, and then tow it back to Norway — a 7,000-kilometre journey, Wanggaard said. The Maud is to be exhibited at a museum in Asker, a suburb of Oslo, from which the Maud was launched on its first voyage. But, with the short ice-free season of 2014 moving to a close, Wanggaard plans to let the Maud stay where it is until 2015. “We can’t risk having a problem in the middle of the procedure of lifting,” he said. And how long will it take to move the Maud onto the submerged barge? That’s similar to the question of how much time it would take the team to travel from Norway to Nunavut, Wanggaard said. In the end, due to bad ice conditions in the Northwest Passage, that journey took three months — more than anticipated. But, if bringing the Maud back to Norway takes just a few years, that’s a much shorter period of time than any similar government effort would take, he said. Look regularly at A date with Siku girl for most posts from Cambridge Bay, Nunavut. Did you miss Today, Arctic explorers take cruise ships? Now I know what that spiny object in the water is; that’s a good story.